Click here to see what we can do for you! When you pursue business, you always put it in mind to aim for success. In a world filled with competition, you have very few options to beat other companies. One of these options is engaging in a partnership with one of the world top retailers and get them to distribute your goods and/or services. Next to Walmart, Target is the second largest retailer in the United States with 1 792 stores in forty-nine states and a satellite corporate headquarters in Bangalore, India. To date, India is Target’s lone active overseas distributor with 2 500 team members. Digital marketing and online shopping largely contributed to the 1.9 percent growth of Target’s total revenues as of 2014. Casino is France’s ancient gold mine in the retail world. 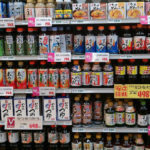 It is the oldest among the top retailers and currently holds a network of 9,450 stores in France alone with international markets in South America and Asia. Ir is a leader or a co-leader in companies in several countries and has generated net sales of €48,645 million in 2013. Metro Group is a retail group in Germany that runs hypermarkets, stores, and department stores. Most of its stores are cash-and-carries that was able to break the 66 billion euro mark in revenues as of 2012. On the same year,, MG became operational in 5 Asian countries, 25 European states and 1 African state. Aldi, another popular retail store in Germany , runs 9,600 stores in seventeen countries across the globe. Its products consist of food, toilet paper, beverage, household essentials and sanitary articles. As of 2010, Aldi generated a global turnover of 53 billion euros. Kroger is an American multi-brand group that operates in 35 states in the United States. It is a manufacturer and a retail giant with a large network of supermarkets with a revenue of $108.5 billion in 2014. Lidl is another German global discount retail chain that runs 10 000 stores in 28 countries across Europe. It is very secretive and opts to forgo publishing of any official figures in gross sales and revenues. It is the pioneer of globalization that started its infancy in France. Carrefour now caters to 10,102 locations worldwide. Although it does not operate many stores, Costco is the world’s second largest retailer in terms of sales. It primarily caters to large-scale wholesale clubs that generate significant revenues. Initially founded in the United States, it now has 689 warehouses worldwide. Walmart is the top private employer in the world and currently holds the number one spot in sales. It is an American multinational retail corporation in the United States and has been difficult to dethrone since its globalization in 1991. 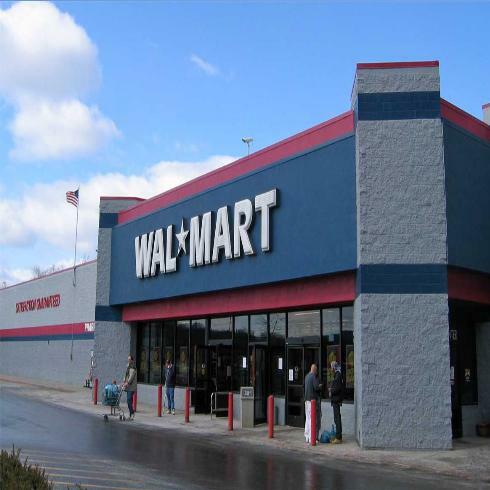 Currently, Walmart has 11,620 retail stores worldwide. 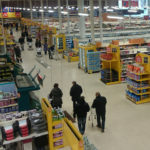 Tesco is one of the oldest top retailers in the world and runs several stores in Europe and Asia. Tesco initially gained traction in Great Britain in 1919 and now has over 6,814 stores worldwide. As of 2015, it’s capital reached a peak of 18.1 billion pounds. Engaging in business is tricky work but you have to exhaust all possible resources if you really want to make it big. If you’re one of those companies whose only starting out, a joint venture with big companies is highly recommended. One of these world top retailers is bound to help you out! 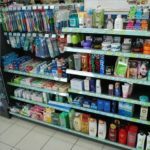 How to get your FMCG product in a supermarket or drugstore abroad? How to find a good business partner in Oman? This entry in exports, knowledge was updated on October 12, 2016 by specialist. Online sales can further support your exports. Localisation is the success factor, and we know how! Working with us is personal, profitable and pleasant. Our team consists of experienced business development specialists in over 30 countries. We work for larger and medium-sized companies who want to get more profit out of their export. Contact us and see how we can help you! Please subscribe me to your monthly newsletter with your most popular articles on international business. I will receive directly the free e-book Creating Profit Through Alliances. 10 steps to find the right agent or distributor. We care about your personal data. Read our privacy statement. Let our nearest partner contact you! What is your role in the company? Please subscribe me to your monthly newsletter with the most popular articles on international business. I will directly receive the Export checklist and to get more profit out of my exports! Please subscribe me to your monthly newsletter with the most popular articles on international business. I will directly receive the useful Export Country Selection Guide, to determine my next export destination! a practical tool for starting a collaboration.